Party alla Bolognese , ever hear of it? No, I didn’t think so. I coined the phrase, just like I coined the phrase Meatball Parm Mondays , which I first wrote about in my best selling Italian Cookbook Sunday Sauce. So, you want to know what a Party alla Bolognese is, a term you are no doubt hearing for the first time. Well as you might have already surmised, number one, it’s a party that has to do with Bolognese. A party where you eat Pasta with Ragu Bolognese you’re asking? Well yes, you are quite correct, you’ll be eating the famed Italian Ragu from the city of Bologna, Italy. This is a party centered around eating Pasta all Bolognese. Now what’s better than that? 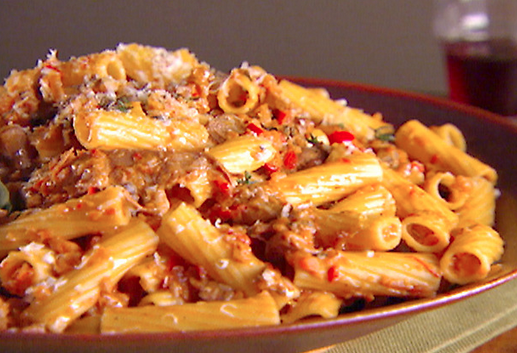 So, as we know Ragu Bolognese is the famous meat-sauce for pasta from Bologna, Italy. 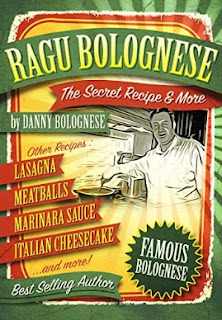 Now, hopefully by the time you read this part of the book, you’ve already made your first Ragu alla Bolognese. Well congratulations are in order to you, you’ve learned something that is infinitely important, and something that will serve you the rest of your life. You now know the infinite glories of the Bolognese, that lush pasta meat-sauce from Bologna, Italy known as Ragu Bolognese. You know the wonderful flavor, and are sure to crave it often. No problem, if you have a craving, you can just make it. You have the recipe, you’ve made it once or twice, you can make it any time you want. Making this famed Ragu and throwing a party centered around the Bolognese where you’ll feed Maccheroni alla Bolognese to friends and family, this is such a wonderful thing, you just can’t imagine. Do it once and you’ll see. You will make your friends oh-so-happy in more ways than one. They will thank you and sing your praises, and you will feel their joy. A joy that you gave them by making them Ragu Bolognese. Yes it has this affect. Throwing a dinner party you say? It seems so daunting. Hey, you’ve made Bolognese, throwing a dinner party centered around Bolognese is as easy as pie, and I’m going tell you how. You will amaze your friends with this one! Trust me! Hey, I’ve already told you pretty much, 90% of all you’ll need to know to do your first fabulous Party alla Bolognese. “What,” you say? Well I’ve written the recipe for you, and you’ve already made your first Bolognese, maybe even two or three by now. You know how to make one of the World’s great dishes Pasta alla Bolognese, all you need now is some good music, good Italian Wine, and some sort of Salad or Antipasto to start you off. You will make the Bolognese ahead of time, either the day before or early in the day before your party starts. You can either make a salad to have before the Bolognese, but a better choice would be either a Caprese Salad of fresh Mozzarella & Tomatoes, a lovely mixed Antipasto, or something as easy as Prosciutto & Melon would be very apropos, considering the Bolognese and the famed Prosciutto di Parma are both from the same region in Italy of Emilia Romagna. To KEEP READING Click HERE !!! FOR RAGU BOLOGNESE RECIPE .. 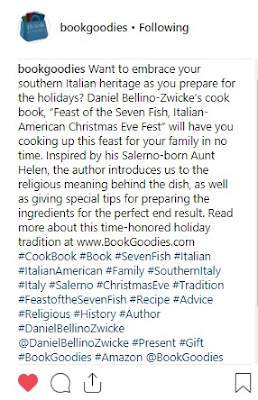 The Feast of The 7 FishMy Aunt Helen used to make the famous Italian Christmas Eve Dinner, “The Feast of 7 Fishes,” The 7 Fish of the Seven Sacraments. I know she made it because I used to hear her talking about it when I was a little kid. 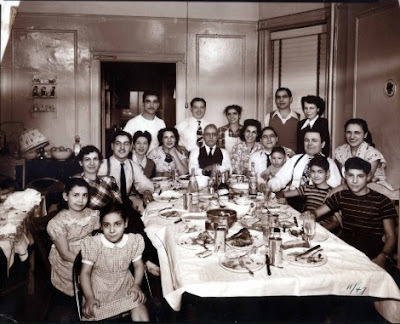 Although I shared many wonderful meals with my dear Aunt Helen, I never had the pleasure of having the famous Christmas Eve Dinner “La Vigilia” Feast of 7 FishFeast of 7 Fish with her. We always had Christmas Eve dinner with the immediate family and Aunt Helen had the Christmas Eve with her brother and sister and other family members. Aunt Helen was born in Salerno, Italy and was my Uncle Franks (1 of my Mother’s 3 brothers) better half. So for our Christmas Dinner my mother would make an Antipasto of Salami, Provolone, Peppers, and Olives, followed by Baked Ziti and a Baked Ham studded with cloves and Pineapple rings.The first time I ever had the mystical dinner was about 12 years ago with my cousin Joe, his family and my girlfriend Duyen. We had been talking about this famous Italian Feast a few weeks previous, and were thinking of making it. 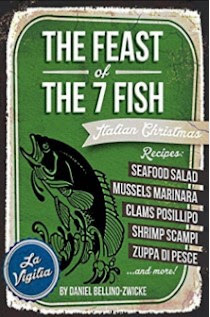 Joe told me he wanted to have the Christmas Eve Meal of The Feast of The 7 Fishes, known in Italy as La Viglia (The Vigil) or “La Festa Dei Sette Pesci,” which is also known in Italian-America as The Feast of The 7 Fish, that signify the 7 Sacraments. Now, how’s all that for a mouthful? This Dinner, La Vigilia originated in Southern Italy, especially in and around the environs of Napoli. 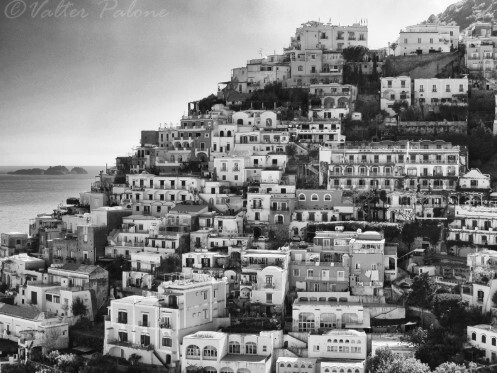 The Feast of The 7 Fish is a Southern Italian tradition that does not exist in the rest of Italy, it is of the South. La Viglia, or “The Feast of the Seven Fishes” as it isknown to Italian-Americans commemorates the waiting (Vigil) of the Baby Jesus to be Born at Midnight and the Seven Fish represent the Seven Sacraments of the Roman Catholic Church. Some also that the Seven Fish might signify the 7 Days of Creation, or The Seven Deadly Sins, but most believe the 7 Fish pertain to the Seven Sacraments.So Joe asked me if I wanted to make this festive and all important dinner, to perform the ceremony. He didn’t need to ask twice. I had never made it before and was dying to do so. For a long time I had yearned to partake in this celebrated old Southern Italian Ritual, and this was my chance. Naturally I was excited, so was Joe. The anticipation of the Great Feast to come was of happy expectations and excitement. And what for the menu? I know Aunt Helen made Bacala, Shrimp Oreganata, Mussels, Baked Clams, Calamari, Octopus, and eel, all much Loved Southern Italian (especially Napoli and Sicily) Creatures of the Sea. We decided which fish we wanted and how to cook each one. Much thought and planning went into the menu and its execution. Joe wanted; Langoustines, Lobster, and Bacala. Alexandra asked if I would make Stuffed Calamari. We also decided on Shrimp Cocktail, Baked Clams Oreganata, and Cozze al Posillipo. The menu was set. Duyen helped me with the Calamari which we stuffed with Shrimp, parsley, breadcrumbs, and Peas. We braised the Calamari with tomato, White Wine, and herbs, and if I must say so myself, the Calamari came out superbly. The Stuffed Calamari were a lot of work to make, but well worth the effort as they were a huge hit with all. The Macari boys, Joey, Edward, and Tommy, as well as sister Gabriella, Alex, Duyen, Jose and Sergio from Barcelona were all in attendance.The Mussels Posillipo were cooked with garlic, white wine, parsley, and tomato. The sauce is great to dip your bread into. This dish was one of my mother’s favorites back in the days when few Americans other than those of Italian origins ever ate these wonderful little bivalves. Now-a-days every-body does. As a young boy I remember my mother sending me to Bella Pizza in East Rutherford to get an order of them for her. She always gave me a few and I have Loved them ever since.Joe helped me to cook the Langoustines. They are hard to find and I had to order a ten-pound box from Silvano in order to get them. The best way to cook langoustines is to split them in half and sauté them on each side in olive oil with a little butter and garlic. We served the Langoustines the same way as Silvano does as we feel his recipe is the best and everybody loves them that way. The Langoustines are served with a salad of thinly shaved fennel and celery dressed in olive oil and lemon with some split cherry tomatoes. Absolutely delicious!! !The Lobsters we prepared the best way possible, the New England way, steamed and served simply with drawn butter and lemon wedges. There’s nothing better on Earth, well except for Sunday Sauce of course.Well, that Christmas Eve Dinner The Feast of Seven Fishes was quite a wonderful experience. It was a huge success but quite a bit too much work and actually, too much food, everyone was kind of full already by the fifth fish. The following year we decided on incorporating the Seven Fish into three courses instead of seven separate ones as it’s just too much, too much to eat and too much to cook, a lot of work, and who needs to work that hard on Christmas. It was a good decision. We still had 7 different fish, which is a must. Serving these 7 Fish in three courses was a good idea as it is much more manageable that way, both to cook and to eat.On this Feast of The 7 Fish in “3 Courses” we decided to make the Stuffed Calamari, which I would not have chosen again because it was a lot of work, but it was Alex and Joe’s favorite and they said that it was a must. This was our Antipasto Course. Alexandra and her mom helped me, so the amount of work was cut down and divided into three, “A good thing.”The stuffed calamari took care of two of the seven the shrimp that were stuffed into the squid.The second course (Primi) of Linguine Frutti de Mare consumed four of the Seven Fish required for the meal. It consisted of Mussels, Clams, Lobster, and Scallops cooked with garlic, oil, herbs, and just a touch of tomato.The seventh and final fish was fresh Cod that I roasted and served with a sweet and sour onion sauce (Bacala Fresca Agro Dolce). Everybody went bananas for it especially cousin Joe who raved at each and every dish I put down. It’s a pleasure cooking for Joe as his for eating and for the Italian American way of life, the food, the wine, the rituals. Joe truly Loves and savors the experience, so I always love to cook for him, Alexandra, their children, or just about anyone for who savors the experience so well. This goes the same for my cousin Anthony Bellino his wife Debbie and their three girls Chrissy, Danna, and Allison, along with all my close friends and family.It makes cooking a joy rather than a chore. When cooking for family or friends, you give two of life’s great gifts, a tasty Home-Cooked meal combined with a little bit of Love. Scratch that. “A whole lotta Love!”If you don’t want to go so crazy, with 7 Fish as it’s quite an undertaking, you should try to do an odd numbers; 1, 3, 5, 7, 9, or 11. Three (3) is a Nice Number and Represents the Holy Trinity of The Father, Son, and Holy Ghost. Click if you’d like to read a little bit about Isabelle. “MERRY CHRISTMAS One and All” !!! The BEST Most Essential Cookbooks evryone needs to make a Great Kitchen Library to Cook just about anything, from Breakfast and Eggs, to Steaks, Burgers, and Vegetables, Chicken or Fish, Cakes, Cookies, Pies, Pasta, and everyhting. The Top Six Cookbooks evryone should have in their library are: The JOY of COOKING, Mastering The Art of French Cooking by Julia Child, The Essentials of Classical Italian Cooking by Marcella Hazan, The NEW YORK TIMES COOKBOOK by Craig Clairborn, New Basics of Cookbook, SUNDAY SAUCE – When Italian-Americans Cook by Daniel Bellino Zwicke, The BAKING BIBLE, and The Heritage Southern Cookbook. In these cookbooks you’ll find just about everything you need to cook just about anything, from; Pies to Tacos, Buritos to Prize Winning Chili and BBQ Sauce, to all sorts of sweets and tasty baked goods. These books make a great starting starting point for your Cookbook Library. With these 6 books you’ll have a great foundation that you can grow on from here, whether you want to cook Mexican, Chinese, Vietnamese, or Indian food, in addition to French, Italian, and American, you can add new books allong the way. Hunt in old book stores to find great new additions to put in your library, cook and enjoy.